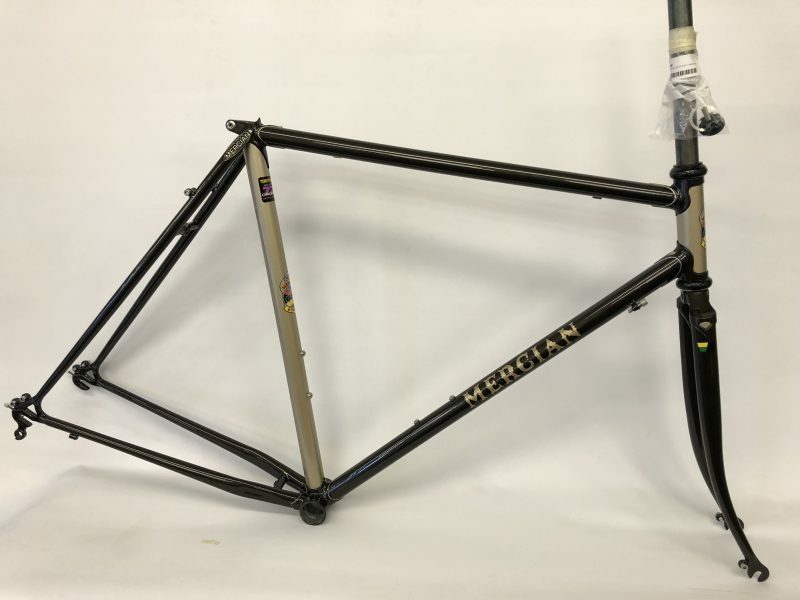 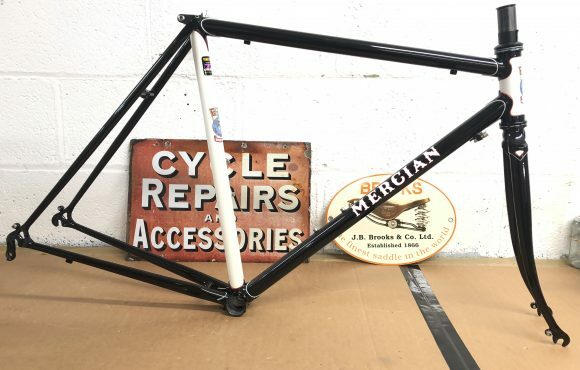 Mercian 57cm King of Mercia made with reynolds 725 tubing with a 1’A-head column 57cm top tube and short road rear dropouts spaced at 130mm for standard rear wheel. 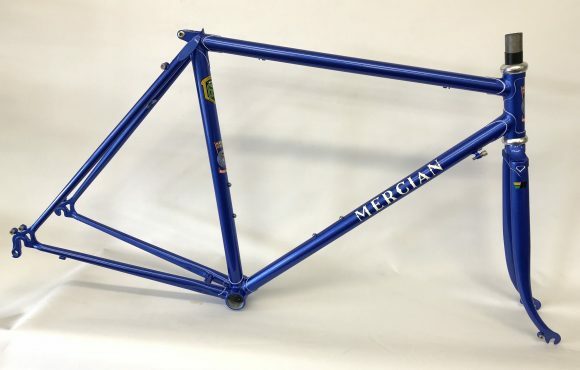 the angles are 73 deg head and 74 deg seat. 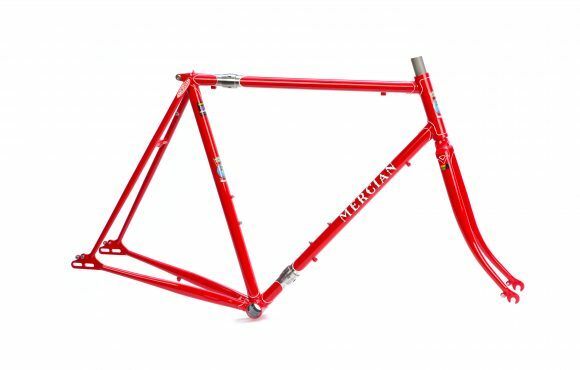 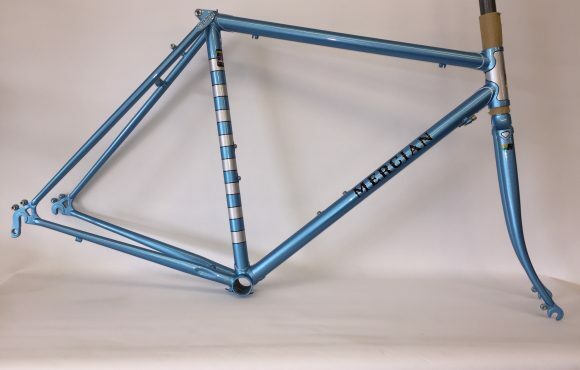 Ideal frame for use with a wide tyre such as 38mm as it comes with 445mm cranked chain stays and a wide crown. 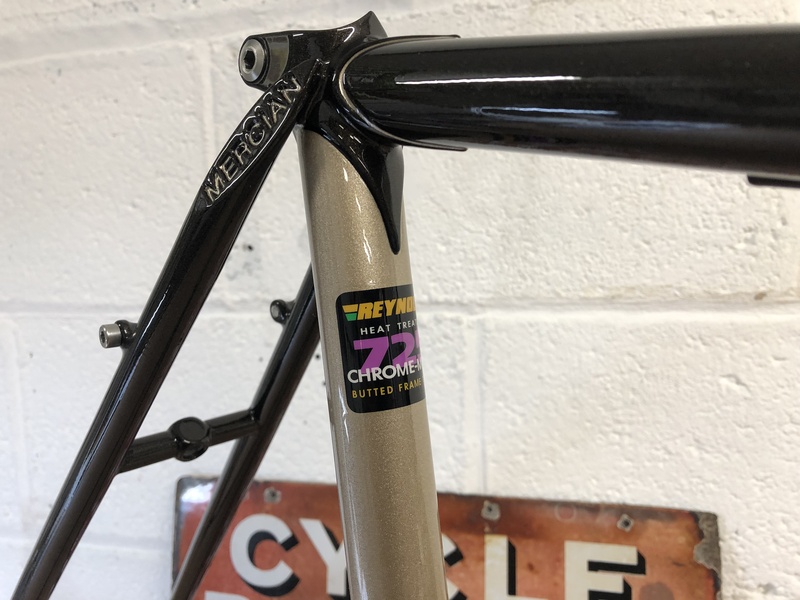 A great frame for the new 1×11 with a single down tube adjuster , chain stay stop and tunnel under the bottom bracket shell. 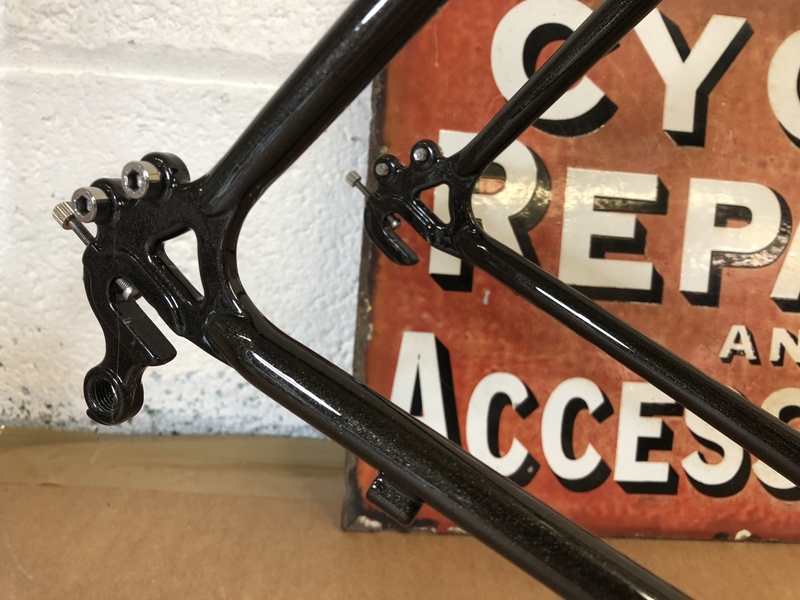 , Brazing for a 4 point fitting rear rack , mudguard eyes . 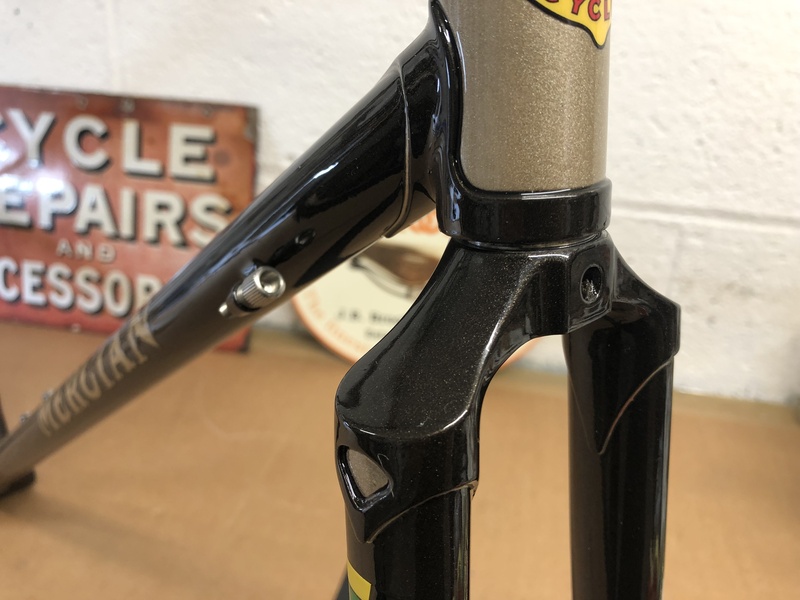 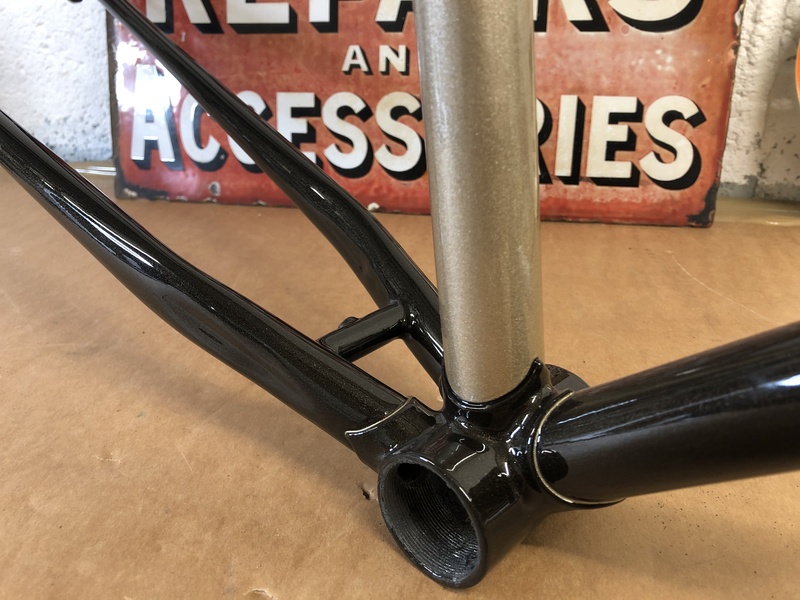 Sprayed in Tobacco pearl with champagne detailing on head tube and seat tube.